We have some exciting news! 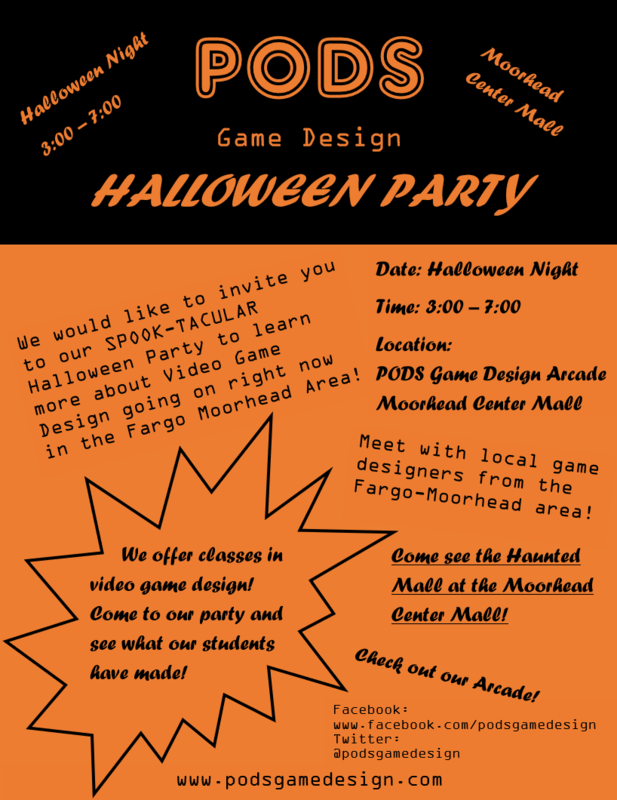 PODS Game Design is hosting a Halloween Party and social on Halloween night from 3:00 to 7:00 at the PODS Game Design Arcade in the Moorhead Center Mall! We want to connect kids and people who are interested in game design to opportunities that can help them turn that interest into a reality. We want to give kids and people who are interested in game design the opportunity to meet and network with people in the community who are designing their own games. We want to give our PODS students the opportunity to show off the hard work they’ve put into their games to the community. We want to give area developers a venue to display what they’ve been working on to the community. 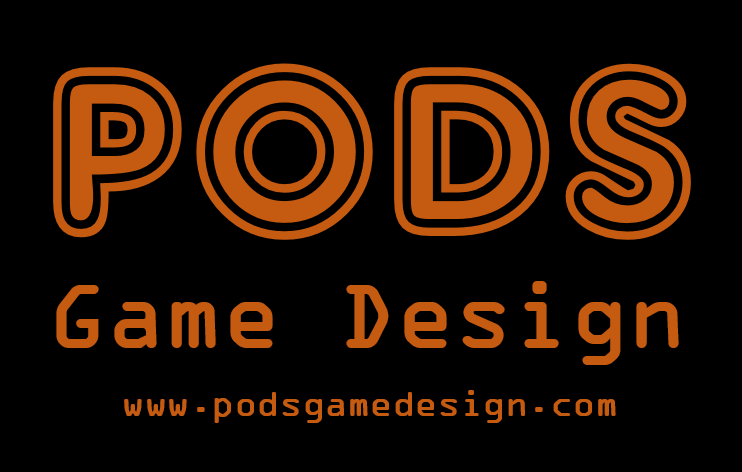 We want to give kids who are interested in either our classes or arcade a chance to come visit with us and learn more about PODS Game Design.